Built in the mid-18th century as a merchant’s house, the Tucker House Museum in St George offers a glimpse into early Bermudian life. It’s named after former resident Henry Tucker, president of the Governor’s Council from 1775 to 1807. The Tuckers are a prestigious Bermudian family that can trace their ancestry back to 1616 when Daniel Tucker, Bermuda’s second Governor arrived on the island. Over the years the Tucker family have made significant contributions to English, Bermudian and American history. Henry’s younger brother became the third and longest serving US Treasurer and another family member served as secretary to Queen Anne. Furnished as a period residence, much of the cedar and mahogany antique furnishing and silverware on display was donated by the Tucker family. Notable examples include an 18th century cedar tea table and a mahogany four-poster bed. The kitchen documents the life of Joseph Hayne Rainey, born in Georgetown, South Carolina in 1832. Rainey was born a slave but his father, Edward, was allowed to keep some of the money he earned from his work as a barber. While Joseph was still a child, Edward managed to save enough money to purchase the family’s freedom. At the start of the American Civil War, Joseph Rainey was conscripted by the Confederates. He worked as a steward aboard a blockade runner and also on the fortifications of Charleston. In 1862, fearing things would only get worse for blacks, he fled to Bermuda and set up a barber’s shop in the kitchen of Tucker House. After the Civil War, Rainey returned to South Carolina and became involved in state politics. In 1870 he became the first black man to serve in the US House of Representatives. The Tucker House Museum is managed is by the Bermuda National Trust. In the winter months it’s open on Wednesdays and Saturdays from 11 am to 3 pm. Opening times in the summer are Tuesday to Saturday, 10 am to 2 pm. Entrance costs $5 for adults and $2 for children (6 – 18). The Bermuda National Trust also offers a combination ticket costing $10 that gives access to the Tucker House Museum, the Bermuda National Trust Museum, and the Verdmont Museum. 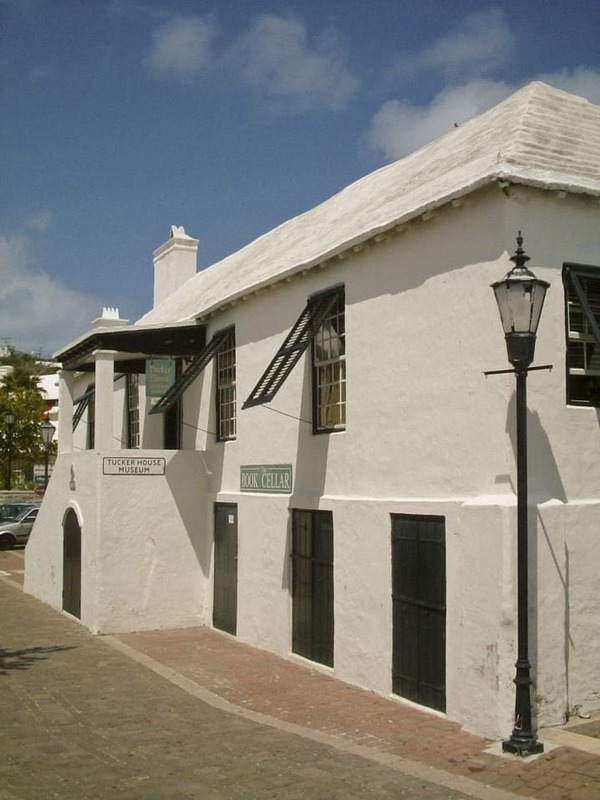 The Tucker House Museum is situated in the centre of St George and is easy to find. From the main square (Kings Square), just walk east along Water Street for about 100 yards. Travelling to St George by bus is easy. Four bus services run from the Central Terminal in Hamilton (1, 3, 10, and 11). 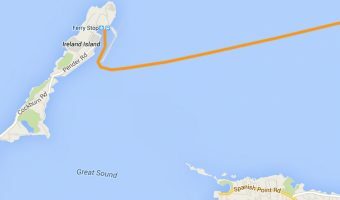 In the summer months a seasonal ferry service operates between Hamilton, Dockyard (Kings Wharf/Heritage Wharf) and St George. The museum is in the same building as the Book Cellar, a delightful little bookshop with a well-curated selection of reads including Bermuda books, children’s stories, and bestsellers. Barber’s Alley is a small street next to the museum named in honour of Joseph Rainey. Here you’ll find Smith’s Garden, a delightful little public garden created and maintained by the Garden Club of Bermuda. Other interesting places to visit in St George include the State House, St Peter’s Church, the Deliverance, Somers’ Garden, and the Unfinished Church. All are within walking distance of the Tucker House Museum. Map showing location of Tucker House Museum. I am the grandson of Sir Henry (Jack) Tucker and loved taking a tour of your museum! I feel so honored to be a part of a wonderful and diverse bloodline. Keep up the good work! My family are direct descendents of Henry Tucker and learned the long history of the Tucker family from our Grandmother, Ena Tucker, and my father, R B S Tucker. My grandfather, R L Tucker, was a frequent visitor with close ties to Bermuda with which he traded from his offices in London. I think that Tucker’s House is an amazing place to visit and everyone that comes to St.Georges should go there. We truly enjoyed our tour of the Tucker house. Our guide was friendly and informative and we loved sharing information with her.